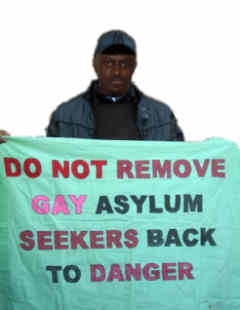 Supporting all LGBTs seeking asylum or who have been refused asylum in the UK. Call 07816 992 218 or email the group. Gay in the UK is a social support group for lesbian, gay, bisexual and transgendered (LGBT) asylum seekers and refugees in Greater Manchester. Lesbian Immigration Support Group is a Manchester based support group for asylum seekers and refugees. LGBTQI Muslim support group based in London. Aids Muslim asylum seekers and provides other welfare and advice services.